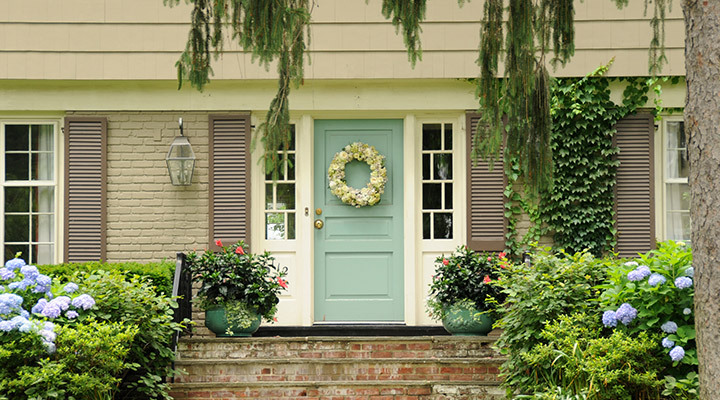 Painting your front door is an inexpensive and easy way to freshen up a home’s curb appeal. The door is the first thing people see before entering your house, so why not make a statement? Bold colors are trending this summer — they can be seen everywhere from fashion runways to art and design festivals. They’re also a great way to make a dramatic statement with your exterior décor. 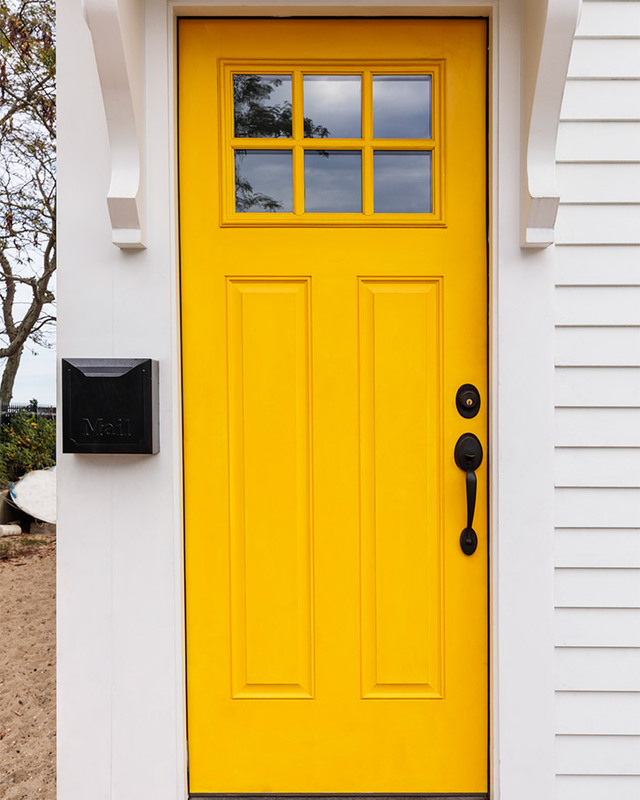 Try Dunn-Edwards premiere products like SPARTASHIELD® to get enduring color for your front door. 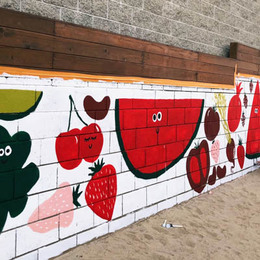 Muralist Cloe Hakakian trusts this product for her murals throughout Los Angeles and Miami. 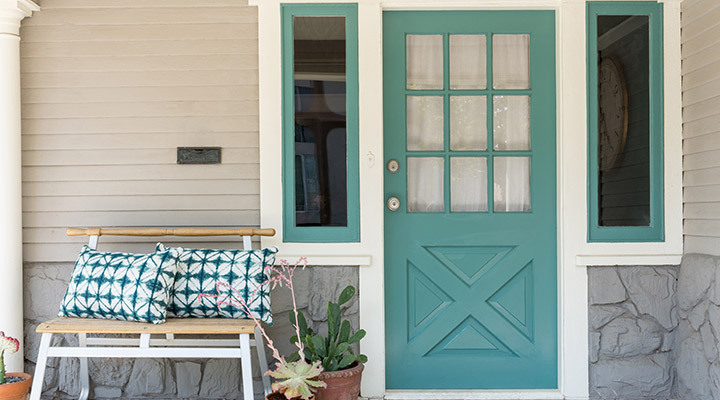 Here are some hot color picks for your new summer front door. 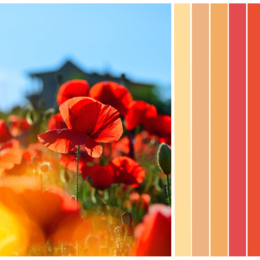 Before making a final selection, be sure to consider the home’s exterior color and landscaping colors. Those should coordinate with your accent door. Greens are definitely trending for 2018 and going into 2019. Just take a look at our color of the year, The Green Hour (DET544), which would also make for an inviting door choice. We often think of greenery in the summer, and mint is a particularly refreshing green. Vogue has even called light greens to be one of the biggest color trends for summer 2018. Try Sprig of Mint (DE5675) for a bold mint, or Mint-o-licious (DE5660) for a lighter look. 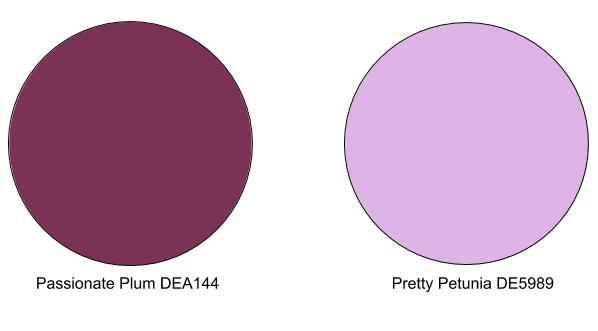 Purple is really having a moment this year, but it can be a tricky color to incorporate into exterior design. 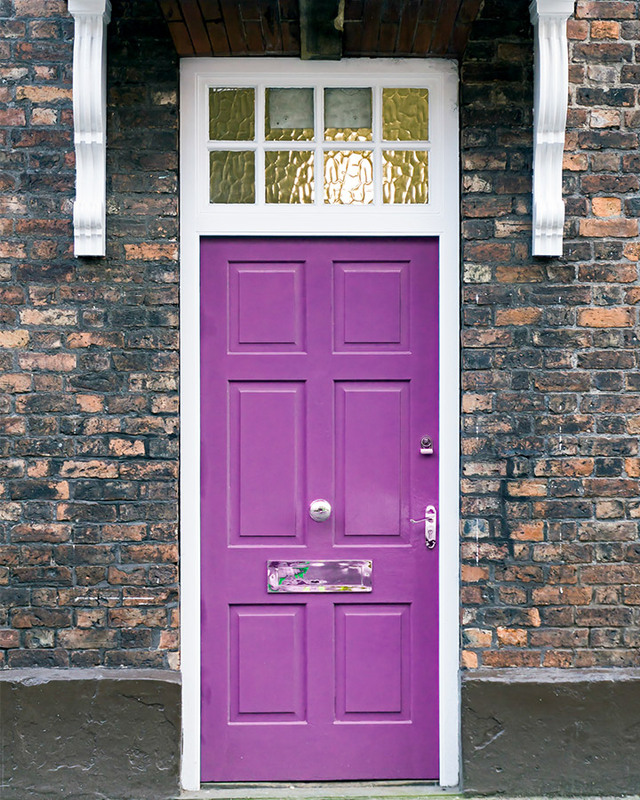 This Passionate Plum (DEA144) is sophisticated and will make your door stand out without looking juvenile. It also pairs well with warm neutrals. For another option, try the lavender tones like Pretty Petunia (DE5989), a favorite of whimsical design firm Studio Mucci. Lavender is expected to move in on Millennial Pink territory as one of the most popular pastels going into 2019. 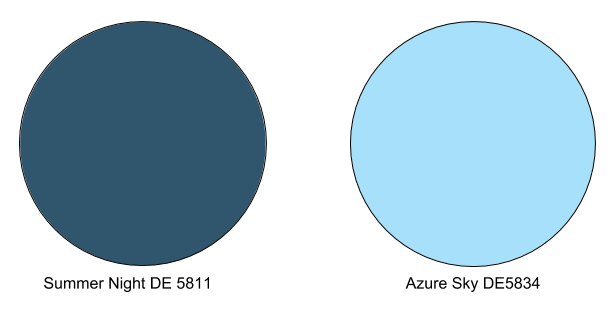 Navy is a pretty common blue to see on a front door. It’s classic and works well, but there other hues worth exploring. Summer Night (DE5811), June’s color of the month, is a deep blue that goes particularly well with light greens and even corals, which might make it the perfect backdrop against your summer landscaping. Like navy, it also goes well with beige neutrals. Lighter blues are making a comeback again as you may have noticed in the Extreme Odyssey palette of Spirited Journeys, our deep dive into 2019 color+design trends. 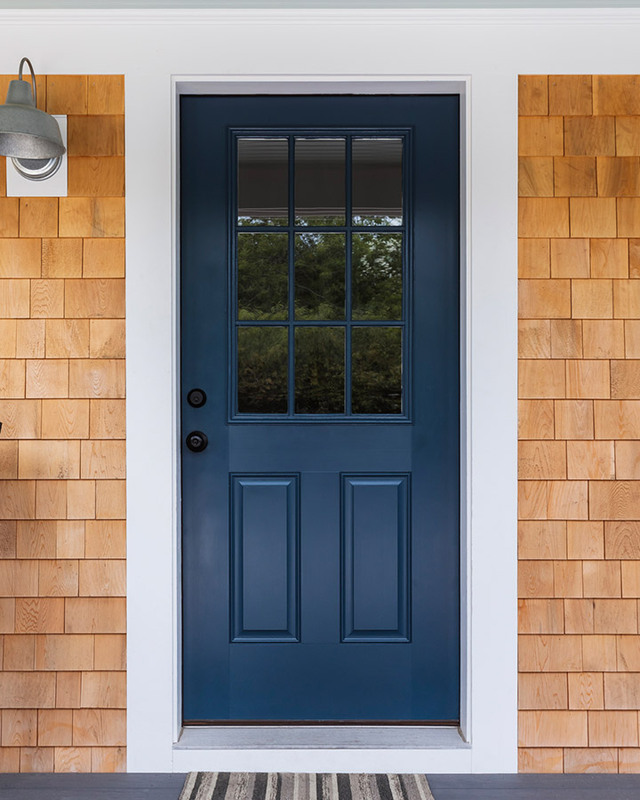 Azure Sky (DE5834) on a front door will pop against a neutral background, but the cool blue also gives off an inviting summer vibe. The West Coast is known for its beautiful sunsets, so it’s no surprise the sunset colors made their way into design this summer season. 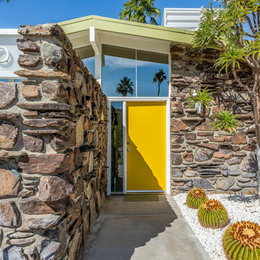 At this year’s LA Design Festival vibrant reds, yellows and oranges were on full display. We even saw some of these sunset hues in April at Coachella. Additionally, Gen Z Yellows are everywhere. We’ve seen these bold hues taking center stage at everything from design pop-ups, like the Happy Place, to trade shows such as BD West. Try Radiant Sunrise (DE5397) or Highlighter (DE5404) for a daring statement. These pair well with warm neutrals. Looking for something a little more subtle but still on trend? Try Aloha Sunset (DE5178). It’s an orange with a tan undertone. Heart Throb (DET412) offers an update to the traditional red door. It’s a bright red, but with a hint of orange. 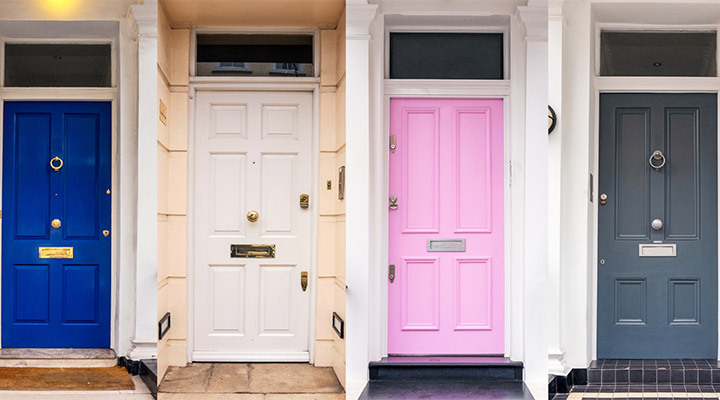 Feeling inspired to redo your door? 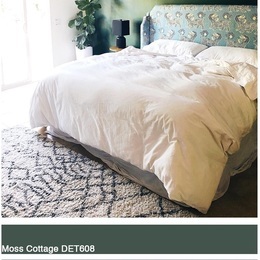 Take a photo and use our Insta-Color® app to give your space an instant paint job. You can also order free samples to see which color works best with your exterior.